In July 2013 The German Rector’s Conference registers 392 officially recognized institutions of higher education in Germany, out of which 110 are awarded the right to grant Ph.D. degrees. And while the majority of these institutions is public, only 11 are privately owned. Steinbeis University Berlin is one of these 11. 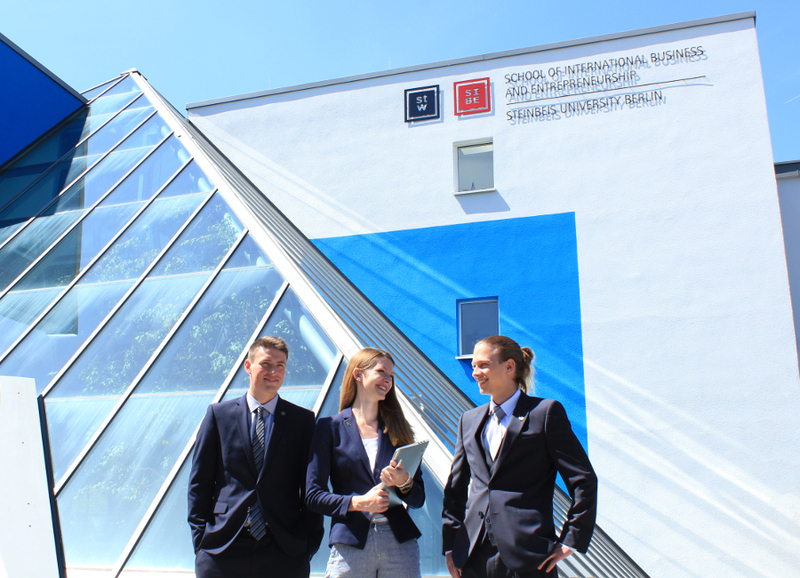 (Hochschulrektorenkonferenz (HRK), Hochschulkompass 2013) It was founded in 1998 influenced by of the European Bologna Process and understands itself as a provider of undergraduate, graduate and post-graduate qualification for working professionals. And while some people seek for affordable, part-time available degrees, which as little as possible interfere with work schedules and personal obligations, others are eager to dedicate more time and effort in order to dive deeper into the subject matter and acquire more renowned degrees, which optimally cause a career boost that justifies higher prices. At SUB these different groups are served by different schools. The School of International Business and Entrepreneurship (SIBE) is the top level international business school at SUB, conducting degree programs for demanding, ambitious, upwardly mobile working professionals that desire to being enabled to better contribute to the success of their employers or own companies and be rewarded through better career opportunities and success. Who gives the accreditation seal to SIBE’s Master Program? The SIBE’s degree programs are regularly reviewed and evaluated by the Foundation for International Business Administration Accreditation (FIBAA) in the routine accreditation. The FIBAA is a European, internationally oriented agency for quality assurance and quality development in higher education. The assessment criteria and methods used by FIBAA to evaluate, to certify and accredit courses of study and educational institutions are developed by international committees. The FIBAA maintains a global network and works closely with international bodies on issues such as the comparability of quality standards and quality management procedures. SIBE courses have been monitored and evaluated since 2003 by FIBAA. The courses have several times surpassed the requirements from FIBAA for master programs. In regards to the topic »University quality assurance and development«, FIBAA awarded the »Excellent« seal. On May 13th, 2015, for the first time, the SIBE courses M.A. in General Management and M.Sc. in International Management were awarded a Premium seal. Thus, SIBE is one of the 3% master programs with a premium accreditation.